Have you already visited these sites? Or are you one of my hundred followers and fanatics?! Since my blog sites were really growing and became a huge hit on the internet, I've just created an artwork logo showing all my blogsites. And this how it looks like! 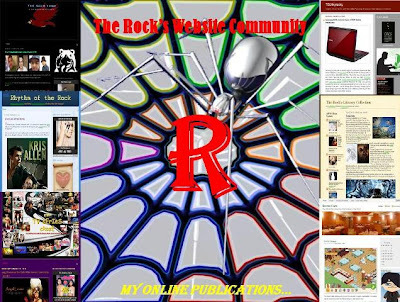 Now collectively speaking all my blog sites could now be called as "The Rock's Web Community"! All your favorite genres were all here. From personal, humor, music, TV series, gadgets, Cafe World, literary, etc., all will serve you! Actually you can find this design layout in my Twitter account. Yup, you may also visit my twitter account to see the updates in all these sites!